Add turkey and cook until no longer pink. Use a wooden spoon to break meat into “crumbles”. 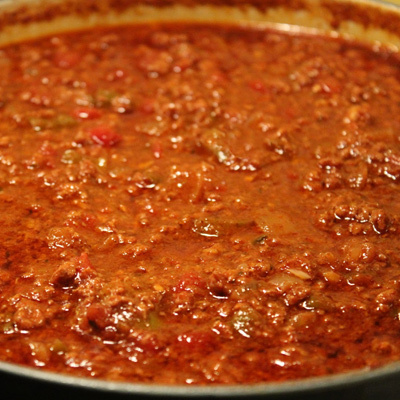 Turn heat down to a low simmer and add the rest of the ingredients, mix to incorporate flavors. Simmer on low for 1 hour. This is also excellent in a crock pot. This entry was posted in Entrees, Healthy Ideas, Party & Entertaining, Slow Cooker, Soups and tagged chili, chili powder, crock pot, easy, main dish, Metabolic Medical Center Recipes, slow cooker, turkey, turkey chili, turkey sausage by foodies4mmc. Bookmark the permalink.